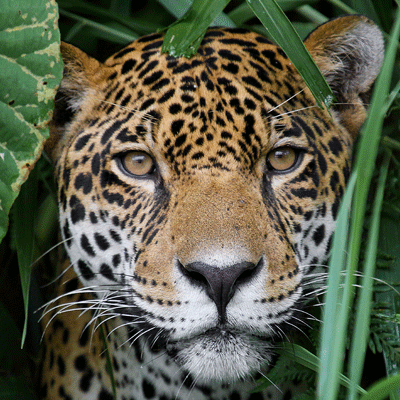 Habitat loss is the main threat South America’s wildlife is facing today. 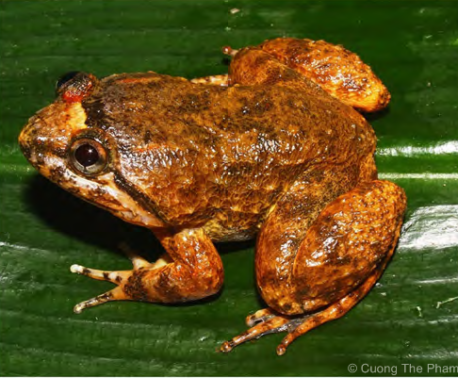 Land is rapidly being deforested and converted to cattle pastures, agriculture and mining which affects a huge range of species from small amphibians to large mammals and migrating birds. 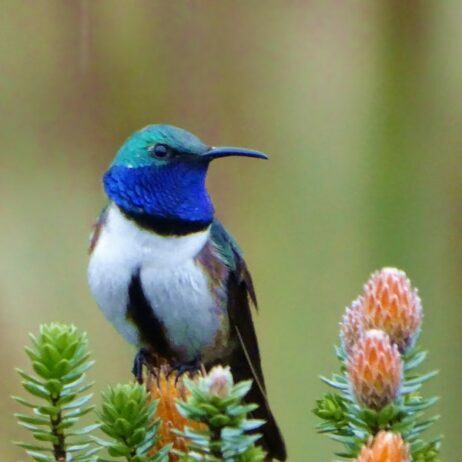 By supporting land conservation through World Land Trust (WLT), you can make a difference for the many different species which fly, crawl, hop and run through the habitat. For Endangered Species Day, discover five threatened species and how you can help us protect them by supporting the Amazonian Andes appeal. 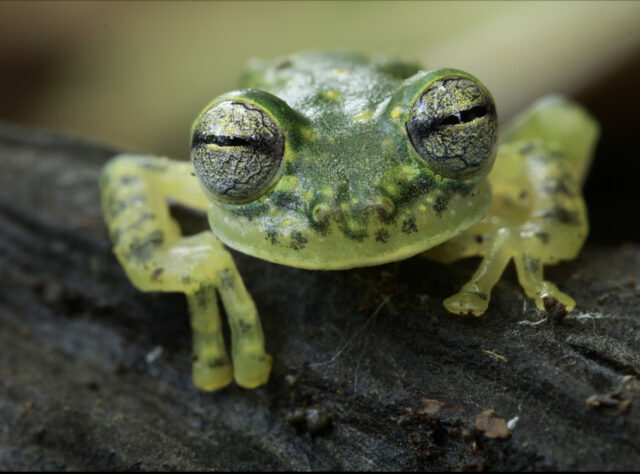 In Narupa Reserve, Ecuador, there are several Endangered species of frog, including the Puyo Giant Glass Frog. It is only 2.6cm long, so the ‘giant’ moniker is relative to the diminutive size of other glass frogs. 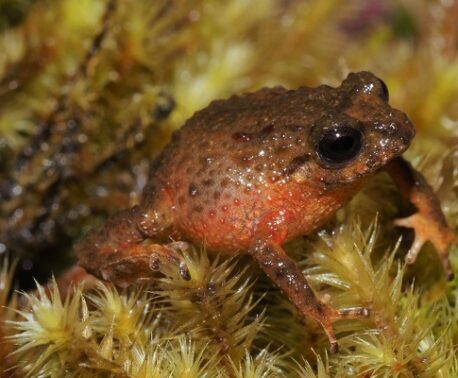 This frog can only be found in the foothill forests of the eastern slopes of Ecuador’s mountains: where the Amazon meets the Andes. 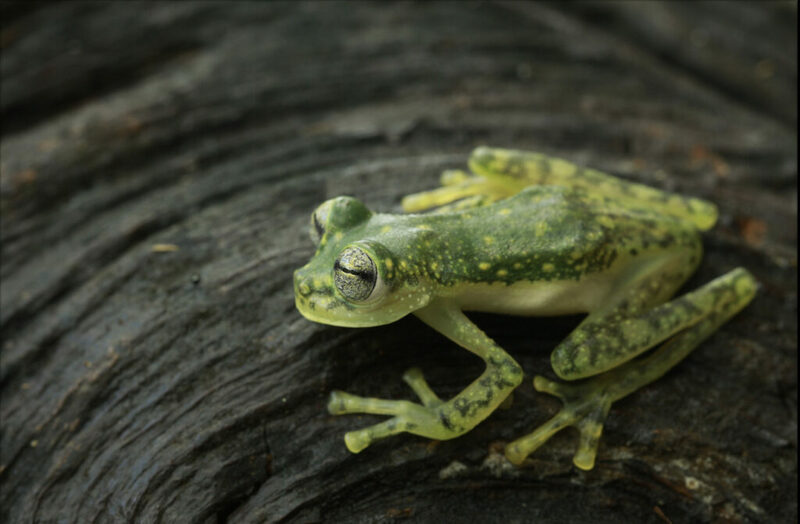 The destruction of this habitat for agriculture and logging is the primary threat to the Puyo Giant Glass Frog, and Narupa Reserve is one of the only protected areas where it has been recorded. 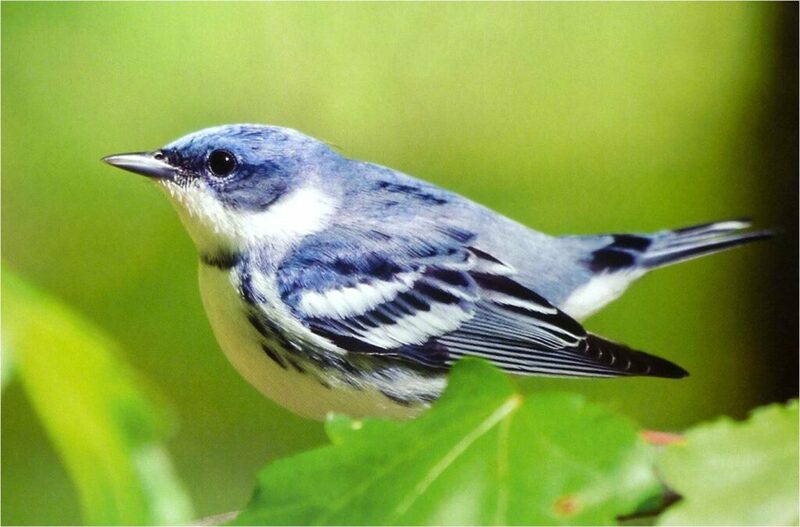 Although the range of the beautiful Cerulean Warbler spans down the eastern part of North America, Central America and into northern South America, it’s numbers have declined by 72 per cent over the past 44 years. 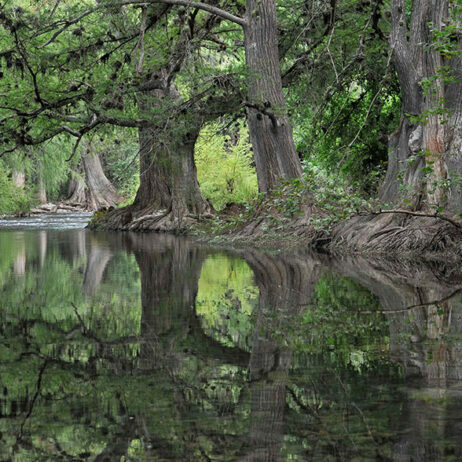 Action is being taken to protect its breeding habitats in the United States and Canada, but large swathes of its winter forest habitat in Latin America are being lost to agriculture and livestock farming. 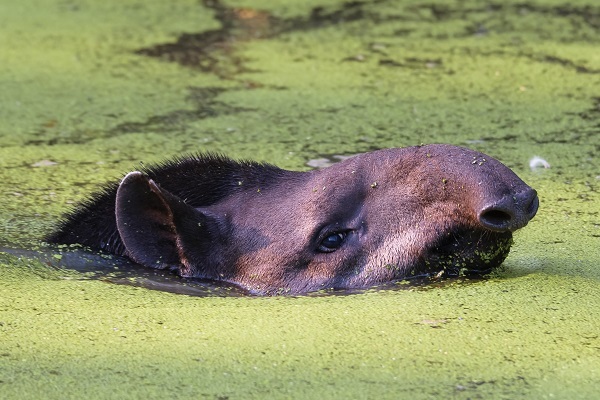 The Lowland Tapir is the largest mammal in the Amazon, which has most likely contributed to one of its major threats: hunting. In the northeast of their territory they are now only found inside protected areas, where rangers can deter illegal hunters, so putting habitat under the protection of forest guards is crucial for this species’ survival. The Neotropical Otter is highly adaptable, and can be found in a wide range of habitats from rocky shorelines to tropical forests and coastal savanna swamps. It can live in either fresh or saline ecosystems and can be found up to 4,000m altitude in the Andes. 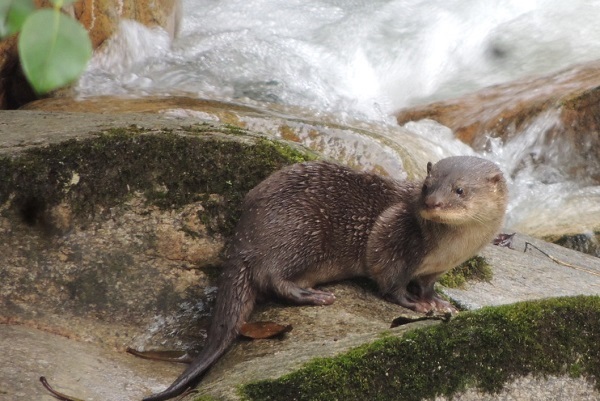 The Neotropical Otter suffered from extensive hunting for its pelt in the 1950’s and 1960’s, but currently persecution by fishermen, habitat loss and the associated water pollution from mining and agriculture are major threats. The gorgeous Military Macaw flaunts a rainbow plumage of blue and gold wings, scarlet forehead, black beak, emerald body with a blue and crimson tail. 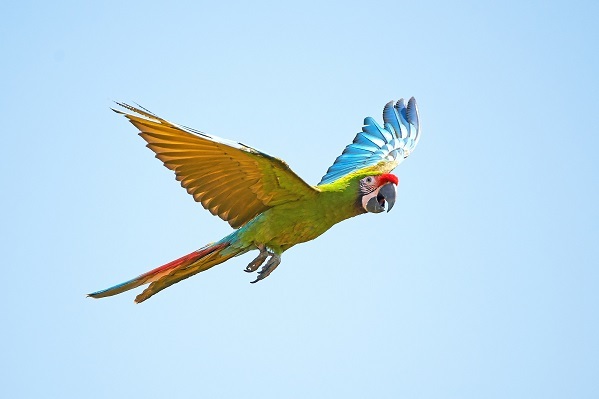 Unfortunately, like many other macaw species, its beauty and intelligence have made it a prime target for the pet trade. Combined with significant habitat loss (23 per cent lost in Mexico alone), it is a species in dire need of habitat preservation and areas guarded by rangers to prevent chick poaching for the exotic pet trade. All these incredible species have been classified by the IUCN Red List as Globally Threatened, with habitat loss cited as one of the main reasons for their decline. But, thanks to supporters like you, we can make a difference. 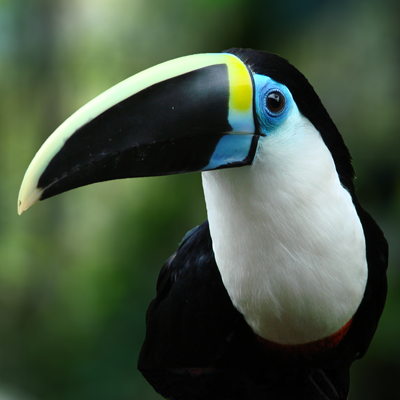 In Spring 2018, supporters of World Land Trust’s Amazonian Andes appeal raised £165,000 for the purchase and protection of 400 acres, to save an important habitat for the above species from a road that would have been built between our partner’s existing reserve and neighbouring protected areas, isolating important populations of threatened species.